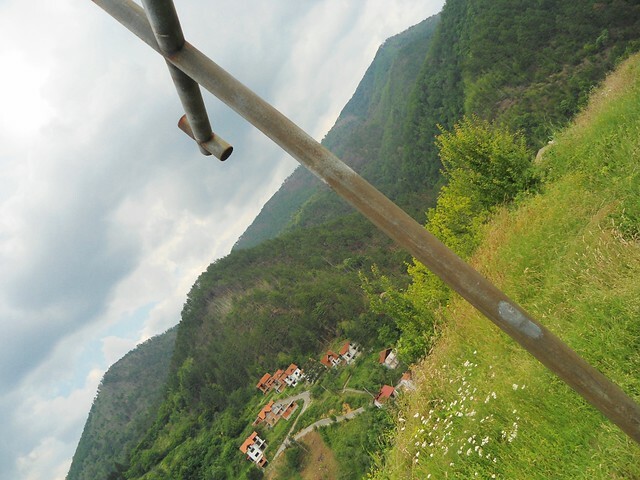 This is the site of a fortress in Srebrenica, a small town in eastern Bosnia. The fortress was in regular use from Roman times until 1440, when the Ottoman Empire conquered Srebrenica. The fortress property, now municipal land, overlooks downtown Srebrenica and surrounding villages. In July of 1995, the Bosnian Serb Army committed genocide, massacring approximately 8,000 Muslim men and boys while expelling the rest of the Muslim population. Srebrenica was majority Muslim before the war, but ethnic cleansing made for a purely Serb population. In 1996 a Serb Orthodox cross was erected on the wall of the fortress, without a construction permit. In 2001, when the Muslim population began returning with the international community’s assistance, someone anonymously destroyed the cross. The symbolic territorial conflict has continued for over 17 years: The cross is continuously torn down and rebuilt in different materials and sizes. In 2002, Srebrenica’s Muslim mayor prepared the necessary documentation to enforce removal of ‘the unapproved construction from municipal land’. However, that paperwork, completed for a previous version of the cross that has since been destroyed, is now invalid. The current cross, made of metal and the largest version thus far, is cemented in place. 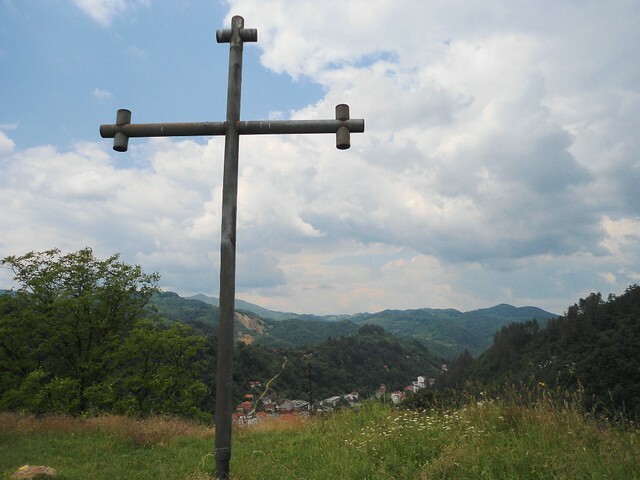 The Serb Orthodox Church states that the cross does not represent genocidal Serb ambitions, but rather marks the spot where a Serb Orthodox church stood until the Muslim Ottomans came and conquered Bosnia. Post and photos by Kathryn Hampton.